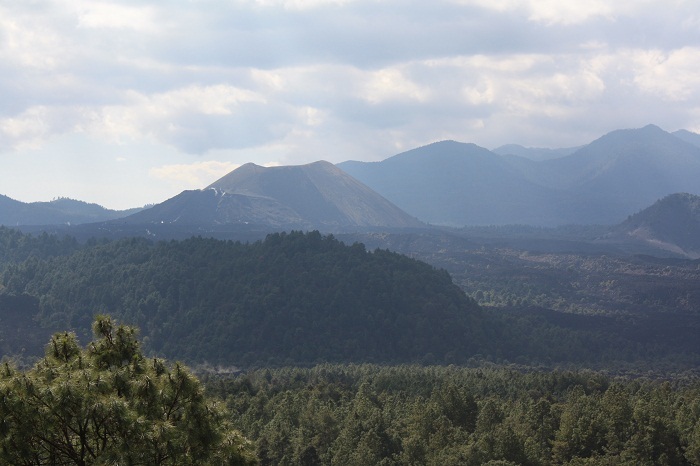 Parícutin is a new dormant cinder-cone volcano, located in the State of Michoacán, near the city of Uruapan in the United Mexican States. 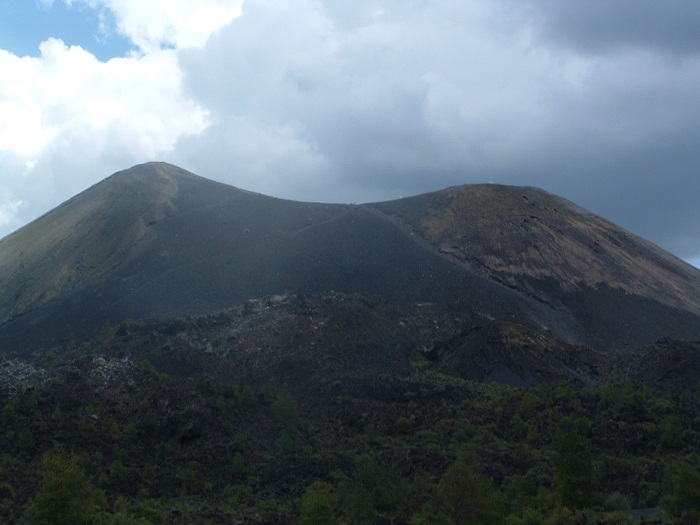 This volcano is quite unique due to the fact that it surged suddenly from a cornfield which belonged to the farmer Dionisio Pulido in 1943, and immediately attracted many locals and scientists from around the world. 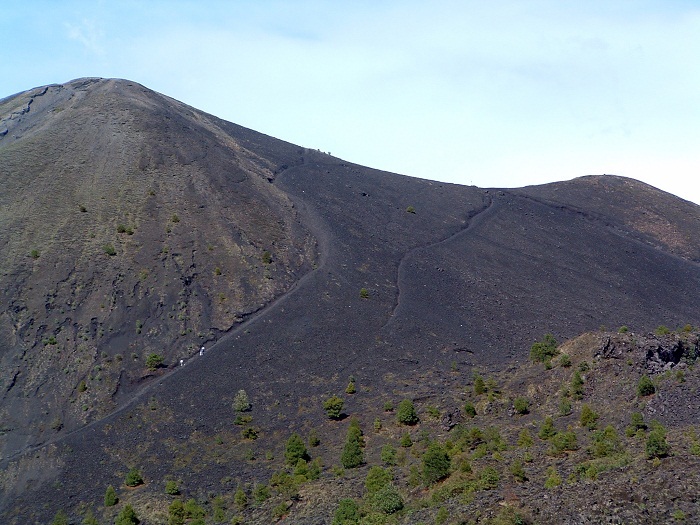 The eruption happened on 20 February 1943 with continuation of its eruption until 1952, during which it destroyed the villages of Parícutin and San Juan Parangaricutiro, burying both beneath ash and lava. San Juan Parangaricutiro’s church spire is all that remains of the village, poking out of the now solidified lava rock. 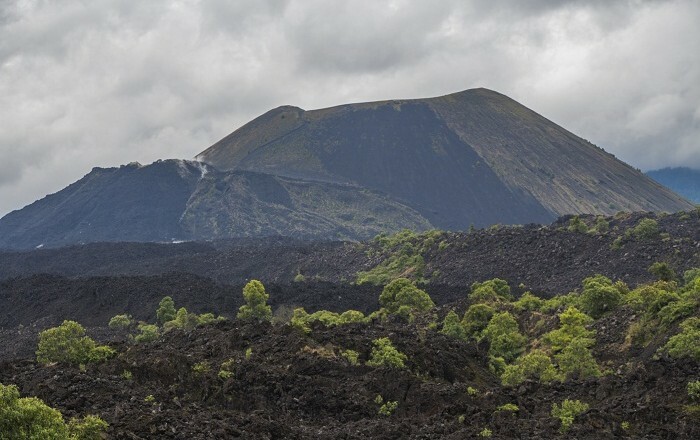 This volcano is one of a kind also, because the scientists were able for the first time ever to observe the complete life cycle of a volcano, from birth to extinction. 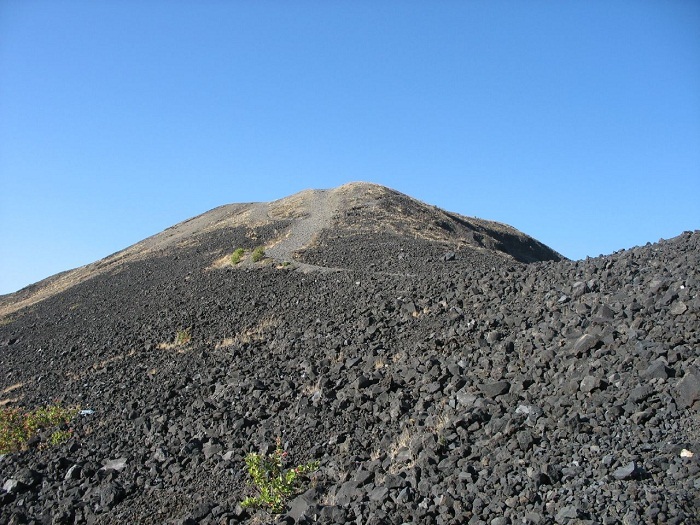 The knowledge gained by these scientists greatly expanded our understanding of volcanoes in general, and of cinder-cone formation in particular. 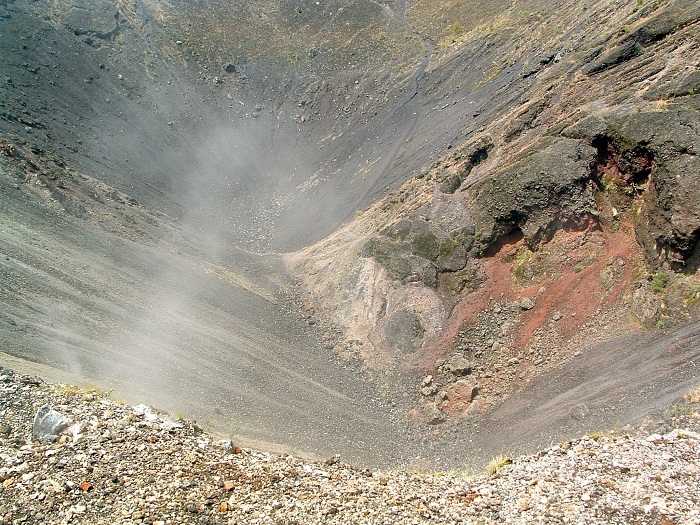 After its startling appearance, the volcano grew rapidly, where it ejected both lapilli-sized fragments, which range from the diameter of a pea to that of a walnut, along with larger “bomb” fragments. 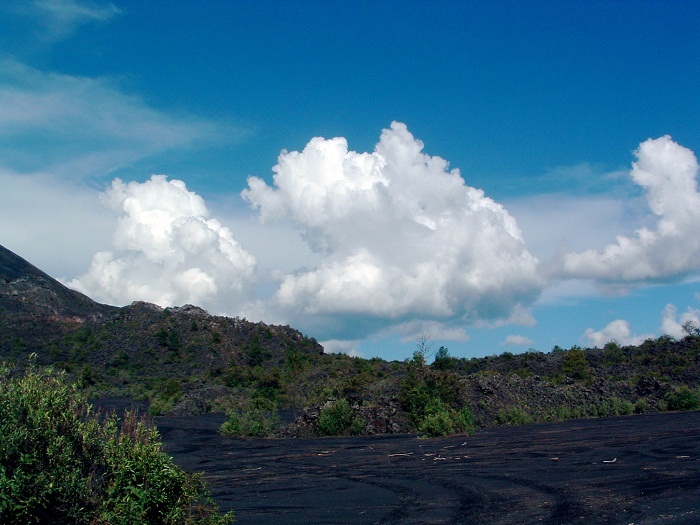 The bombs are often still molten when they are thrown from the volcano and produce bright parabolic streaks in the sky as they fall to the ground. Because they are still soft while flying through the air, the bombs form into a streamlined, aerodynamic shape. Parícutin was very active during its first years of existence, growing to four-fifths of its final 424 meters (1,353 feet) height. 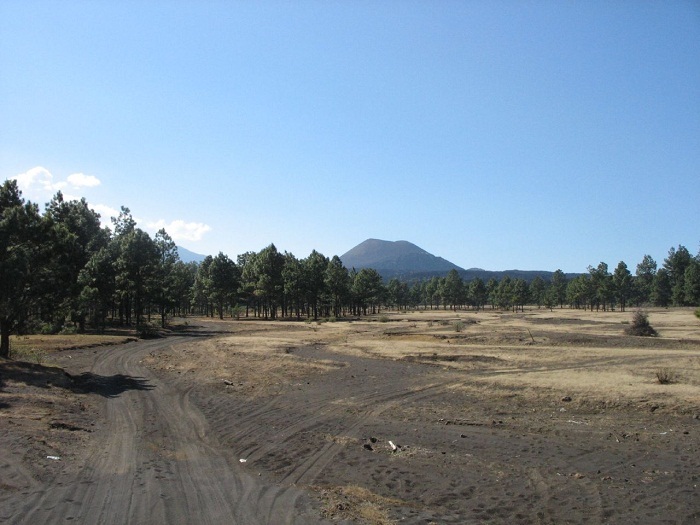 During the peak of its activity that year, ashes from the volcano drifted as far as 200 miles to the east and fell on Mexico City. 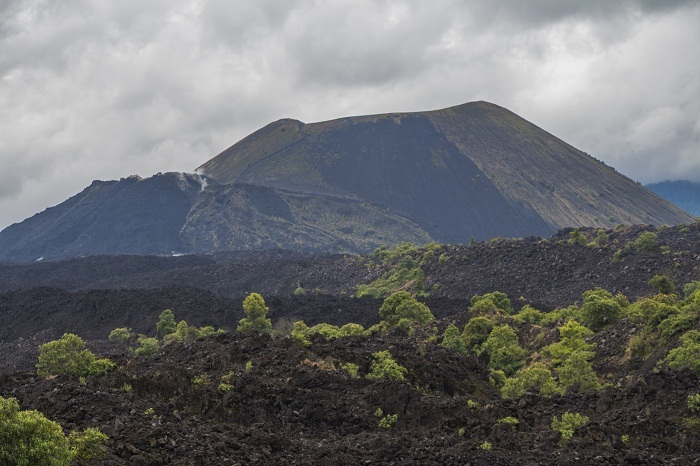 With each following year, however, the volcano became less active until, after a final spectacular spasm, it finally went dormant in 1952. 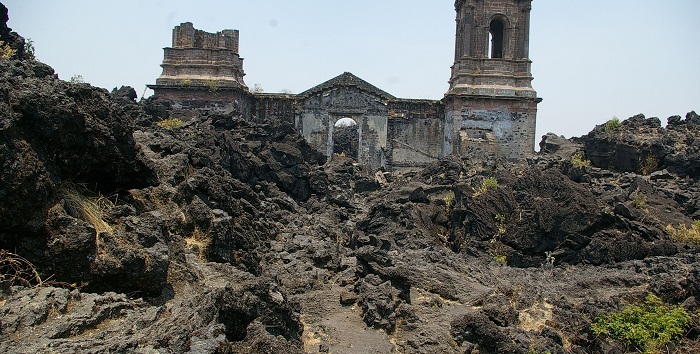 Until today, the volcano remains dormant, however, the local population had to be resettled, but the area became popular tourist destination, where with guides and horses, one can visit both the ruins of the San Juan Parangaricutiro church as well as to climb the volcano itself.